Call Sign :	C6VH5 MMSI :	308808000	Gross tonnage :	41.000, DWT :	12.105 Year of build :	2006 Flag :	Bahamas Dimensions : 176,00 x 31,13 x 8,76 m Cars : 4.900 Main engine : MAN-B&W	8S50MC-C _ Bhp. : 17.185, Kw. : 12.640, Service speed : 20 Kn Shipbuilder : 'Uljanik' Brodogradiliste dd - Pula (HRV). Yard No. 436 Name of ship :	LAPIS ARROW, 2006/08. 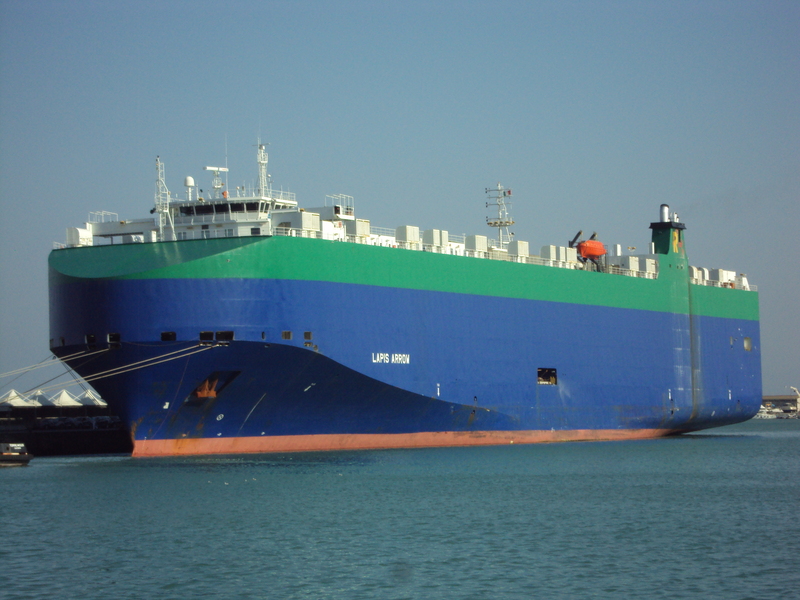 Shipowner RAY CAR CARRIERS - DOUGLAS (ISLE OF MAN), U.K.